With just about every combination of beats and instrumentals you can think of, the modern day psalmists, Rend Collective, change everything with their own theological breakthrough: seriousness is not a fruit of the spirit, but joy is. On this their fourth album of spirited, innovative worship, the ground breaking Dove award band from Northern Ireland show that celebration isn’t just an art it’s a gift that’s given to everyone. Just watch the lead video of lead single, "My Lighthouse" and you’ll share Rend Collective's sense of God's brightness in the midst of "troubled seas" as the band define themselves and their faith by the joy, fun, freedom and laughter they inspire tin their audience. Celebration and joy is at the core of the art of celebration. This album invites you to be a part of Rend Collective’s continuing push against the artificial boundaries of worship with a daring, faithful re-imagining of worship and community. That’s call; don’t be left out join the celebration. The raw, rootsy, foot-stomping energy of the Irish worship band continues to infect among audiences around the globe; building God's Kingdom of celebration right here. Beginning as a group of friends collectively wondering how to make sense of life, God and community, Rend Collective is faithful to Scripture where it says to "rend your hearts" and not your garments, a bold call to be genuine. 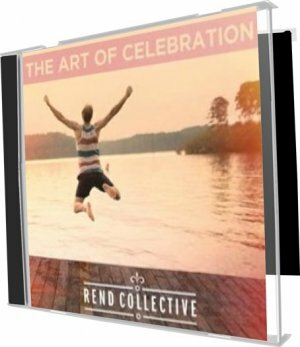 The Art of Celebration CD by Rend Collective Experiment was published by Integrity in March 2014 and is our 1016th best seller. The ISBN for The Art of Celebration CD is 0000768526620. Be the first to review The Art of Celebration CD! Got a question? No problem! Just click here to ask us about The Art of Celebration CD. A:https://www.facebook.com/rendcollective/posts/328899678835 Eden.co.uk is not responsible for the content of external sites. Thanks for using the Q&A forum . The Art of Celebration takes that step further showing us that celebration is not a one dimensional thing, celebration is the essence of our inheritance in God and our journey together as a community of believers that we celebration. From the rousing More Than Conquerors and My Lighthouse to the reflective Immeasurably More and Simplicity, this contains the creativity that has been associated with Rend yet a depth of spirituality that transcends across the church. These songs show a maturing and honing of their craft as songwriters for the church allowing The Art of Celebration to show what it simply is. Now Playing: Joy Your browser does not support the audio element. Click on a track name to hear a 30 second sample. Looking for these songs on other CDs? Use our song search.